Empower your users. Unburden your support team. What is a Self-Care Portal? A Self-Care Portal is a customer service tool which allows businesses and clients to access their telephone set-up information from anywhere. This central hub makes for easy information access any time, day or night. 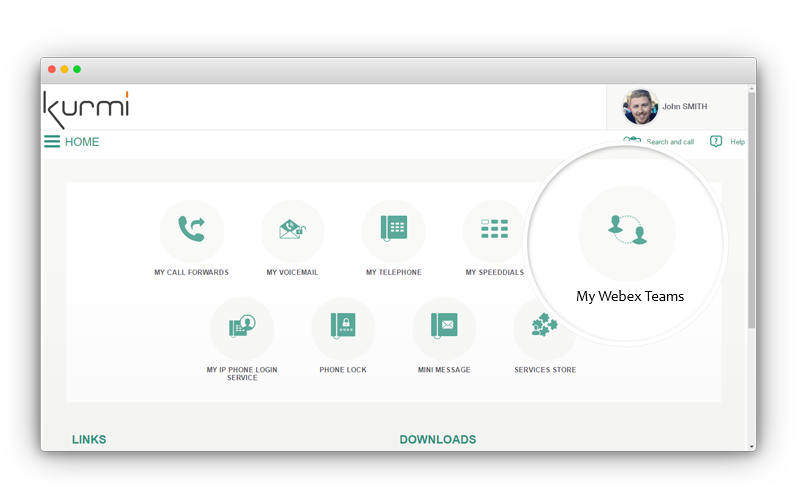 You can access your call forwards, speed dial information, voicemail archives, phone lock settings, and so much more. Self-Care Portals give administrators flexibility in how they store and integrate telephone data. 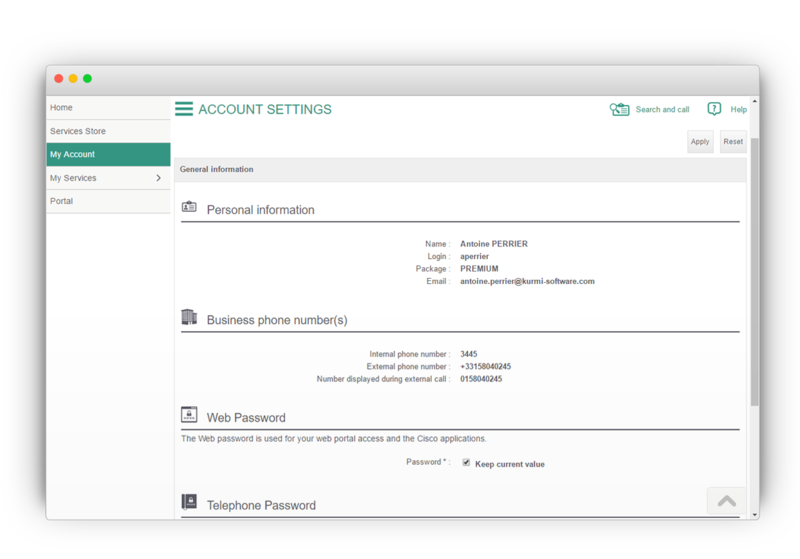 You can delegate some operations to your end users via self-provisioning and service activation, call forward management, password reset, and phone remote control. You can also set your users’ specific autonomy level based on your internal policies, and personalize the portal with your branding. With these unified communications tools, you can hire a much smaller customer service staff who are available to answer specific and specialized questions. This will ultimately save you and your company on payroll expenses. Additionally, you will provide your clients and employees with instantaneous information, which results in higher corporate productivity and thus higher consumer satisfaction. 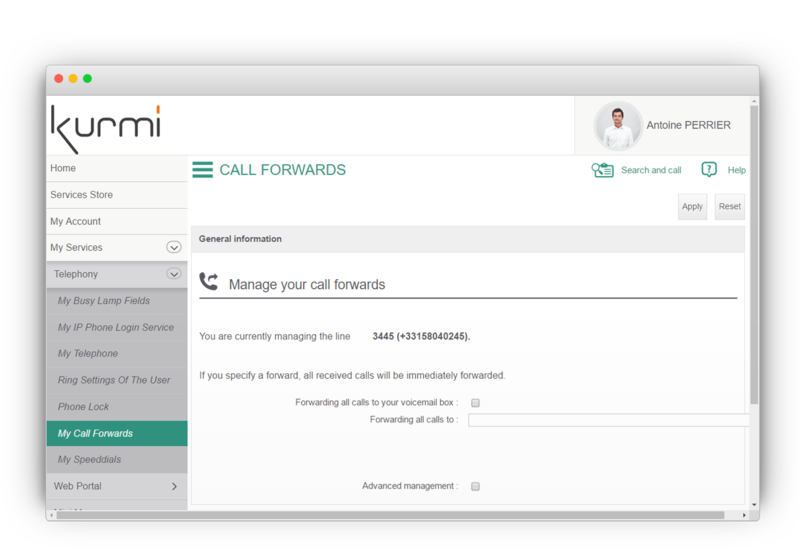 If you already have an end-user unified communications Self-Care Portal (your own or Service Now, for example), the Kurmi features are available through our Selfcare API so you can integrate them with your existing web interface. This creates easy-to-use information port-over processes, so you can have your new Selfcare Portal up and running in no time. Employees now want a “consumer grade” user-experience with their enterprise IT. Waiting multiple days for a service activation or a password reset is just not acceptable anymore. With Kurmi Unified Self-Care, you give your users the experience have come to expect, while reducing the basic operation workload of your support team. It is a win-win roll out. Employees now want a “consumer-grade” user experience with their enterprise IT. While employees need to be able to run their own IT tools, the use of a Self-Care Portal is paramount in creating employee efficiency throughout the day. Employees can access this information 24/7, which means they can work at the office, after hours, or remotely. With the fast-paced service required for businesses to thrive in 2019, waiting multiple days for service activation or a password reset is no longer acceptable. Delays cost companies thousands of dollars in revenue daily and waste several hours of employee time. Self-Care Portals are aimed at ending the negative effects of this dilemma. With Kurmi Unified Self-Care Portal, you can give your users the experience they’ve come to expect, while reducing your support team’s basic operations workload. It provides quicker information and streamlines project delegation among employees, saving your company both time and money. It is a win-win rollout. 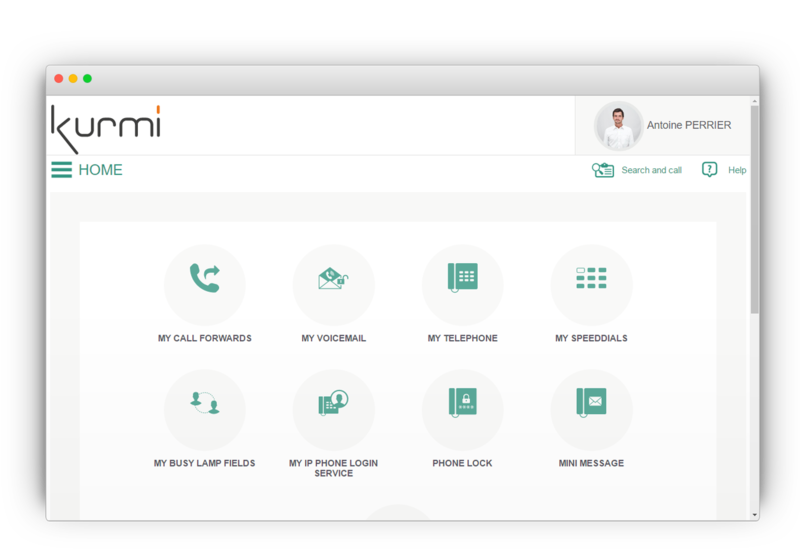 Kurmi Unified Self-Care portal lets you provide your users with the permissions they need to activate a particular service (such as softphone or IM) in the Service Store, based on their profile, but you let them decide whether they need the service. This self-service alleviates over-consumption of resources by affording employees cross-department collaboration and licenses upon company-wide rollout. 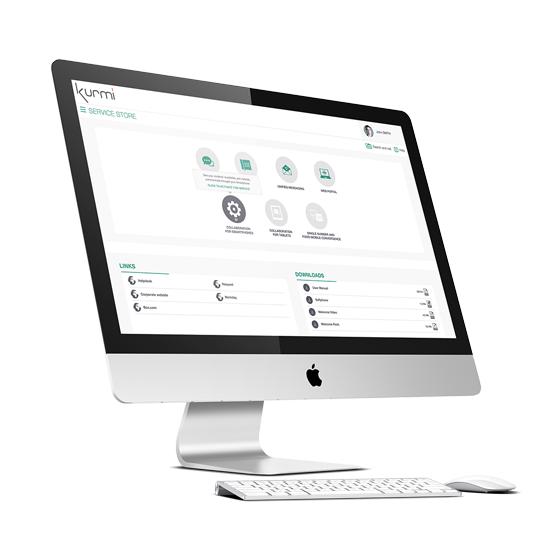 Kurmi Unified Selfcare provides all the features you need to modernize your employees' "user-experience"